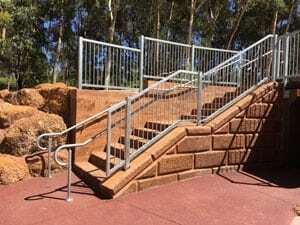 A+ Limestone specialises in limestone retaining limestone walls, limestone feature walls, screen walls, piers and staircases. We take care of the entire process for you – we don’t outsource any services. Being in possession of our own compactors, bobcats, excavators and truck we take care of all of your earthwork needs, and as such are in total control of your entire project. If required, we can also assist you with any council approvals and engineering certificates. 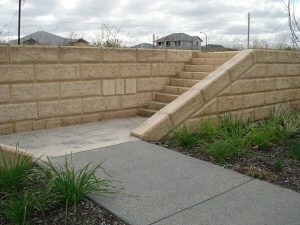 We are experienced with all types of domestic and commercial limestone retaining wall projects. At A+ Limestone we take away the hassle and deliver your desired outcome with a lifetime quality product. The majority of our continued business is derived from referrals and recommendations. This is a testament to the quality of our service offering, and product delivery. 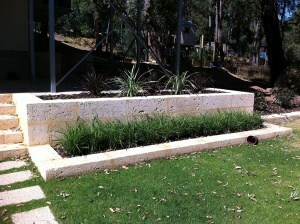 Our knowledge and experience is second to none when it comes to building limestone retaining walls in Perth. The construction of your retaining wall should be a positive one, with transparent communication, resulting in the delivery of your desired outcome. Many private sub-divisions in the hills areas from Mundaring to Byford. In addition to a plethora of smaller, private builders. Take some time to check out our Portfolio gallery online here.